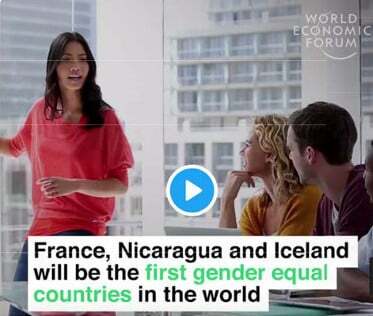 Thanks to Sandinista government policies of the last eleven years, Nicaragua is on track to become the first country in the world to achieve gender equality, according to the World Economic Forum. But the unrelenting counterfactual attacks on Nicaragua’s government by Western imperialist feminists and their feminist class allies inside Nicaragua systematically omit that reality. Most women in Nicaragua reject a Western feminist inspired political agenda. Western feminists and their local allies repress or manipulate the needs and aspirations of impoverished women with contrary political and religious beliefs and different class experiences. Their support for the failed attempted coup of 2018 reflects their inability to build a Western style women’s movement in Nicaragua. The full neocolonial arrogance of Western feminists towards people in Nicaragua was expressed perfectly by Sweden’s then ambassador to Nicaragua, Eva Zetterberg, in a 2006 interview in which she remarked that Western “intervention in Nicaragua was necessary and important because Nicaraguans have been unable to manage their affairs successfully on their own”. That deeply offensive neo-colonial false belief continues to underpin Western feminist interventions in and about Nicaragua. In fact, Western neocolonial feminists have worked for decades with local allies in Nicaragua who have been collaborating with the US government since at least 2006. US embassy cables prove Nicaragua’s women’s movement leaders have consistently lobbied over many years for US funding and political assistance, cynically downplaying or omitting their own support for abortion so as not to prejudice their chances of US government funding. Similarly, leading feminists in Nicaragua shamelessly allied during the failed 2018 coup attempt with the most reactionary anti-abortion Catholic Church bishops. They did so because they recognized that only the Catholic Church could fool enough people into participating in marches so as to give the false impression of a popular uprising against Nicaragua’s elected government. Like their political allies in the center-right social democrat Sandinista Renewal Movement (MRS), the Autonomous Women’s Movement (MAM) and feminist non-profits, for example the recently suppressed Center for Information and Advice in Health Services (CISAS), misled foreign supporters by feinting left but going right. Their rhetoric appears to be progressive, but their practice is profoundly anti-democratic. Not only have they cut deals in secret with imperialist flunkies like US ambassadors Paul Trivelli, Robert Callahan and Laura Dogu. They also ally themselves with extreme right wing Nicaraguan politicians, as they did in 2008 with Eduardo Monteleagre, while colluding with Nicaragua’s anti-labor business leaders and ruthless oligarch families like the Chamorros. The relationship of Narvaez with the US authorities dates back to well before 2007. After a March 2006 meeting with Narvaez, US embassy officials noted she “wants to ensure that the USG will continue to support her even after the November elections, whatever their outcome. She feels that in the past, the USG has only actively promoted her case in the run up to national elections and has lost interest thereafter.”At that same meeting Narvaez detailed other US funded non profits supporting her and an itinerary to visit the US, for which she requested US government help. “Embassy is drawing on its democracy funds to CPDH to assist Narvaez in advancing her own case as well as strengthening her Foundation Sobrevivientes”. Later in 2006, ambassador Trivelli confirmed the US government had indeed organized visits by Narvaez to Washington and Miami in June and October of that election year, including to the IACHR and for a television interview with Univision. They hoped to influence Nicaraguan voters’ opinions against Daniel Ortega. But that attempted manipulation came barely two years after Narvaez famously reconciled with her mother Rosario Murillo in 2004. In November 2006, Trivelli noted that, following Daniel Ortega’s election win that month, Zoilamerica Narvaez called a US embassy political officer to say “she is more determined than ever to continue her case before the Inter-American Human Rights Commission”. However, in 2008, Narvaez wrote formally to the Inter-American Commission for Human Rights asking them to drop the case following another reconciliation with her family. At 8 minutes 53 seconds of a 2006 interview, then President Enrique Bolaños stated his view that Zoilamerica was seeking money. Honduras and Iraq death squad veteran Robert Callahan took over from Paul Trivelli in 2008 and continued consolidating the collaboration of feminist MRS leaders like Monica Baltodano, Sofia Montenegro and others with the US embassy. In February 2010 he recommended approving US$100,000 of US government to fund MAM’s political work in which “MAM would be supported by the Center for Information and Advice in Health Services (Centro de Informacion y Asesoria en Servicios de Salud, CISAS)”. So even back in 2010 CISAS was violating its non-profit status by working directly with the MAM political organization, part of the MRS and of Nicaragua’s opposition alliance including Nicaragua’s extreme right wing. Throughout this period, CISAS and US payrolled non-profits like Carlos Fernando Chamorro’s CINCO, Felix Maradiaga’s IEEPP, Hagamos Democracia and various other Nicaraguan non profits routinely violated their non-profit status engaging directly in sectarian party political activities of one kind or another. In 2008, President Ortega’s government held a review of the country’s non profit sector, tightening up reporting requirements and trying to ensure compliance with the non profit organizations’ legal requirements. In the course of that review, the Nicaraguan authorities found CINCO had been passing money under the table from European development agencies like OXFAM to the political organization MAM. Even so, after investigation, the controversy subsided and US funded non profits returned to their routine, outspoken, self-contradictory accusations of dictatorship against President Ortega. The US media and authorities would crucify women’s activists or non profits in the US found to have conspired with Russian or Chinese embassy officials to influence domestic politics in the United States. But they apply a double standard when the US illegally interferes in the internal politics of target countries like Cuba, Nicaragua or Venezuela. This history of Nicaragua’s feminists and their allies is essential to understand why Nicaragua’s opposition coup attempt failed in 2018. The US embassy cables reveal them all to be unprincipled, mercenary opportunists. 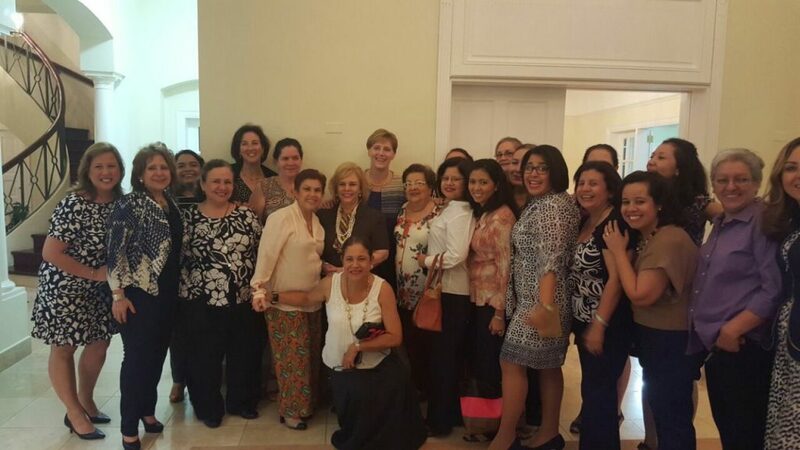 Dora Maria Tellez, Monica Baltodano, the MRS feminist leaders of MAM and of the anti-government, feminist-oriented non profit sector have all been US government collaborators one way or another. They all worked together with other US allies in Nicaragua, including the private business sector, unrepresentative student activists from mainly private universities, oligarchs like the Chamorro family, the reactionary Catholic Church hierarchy, murderous rural caudillos like Medardo Mairena and even organized crime. The resulting violent, inchoate alliance offensive in 2018 was categorically defeated by the Nicaraguan people and their government. But US and European progressives continue supporting neocolonial intervention in Nicaragua, embodying the same faithless logic as their local proteges: feint left, go right. This article was originally published on Tortilla con Sal.